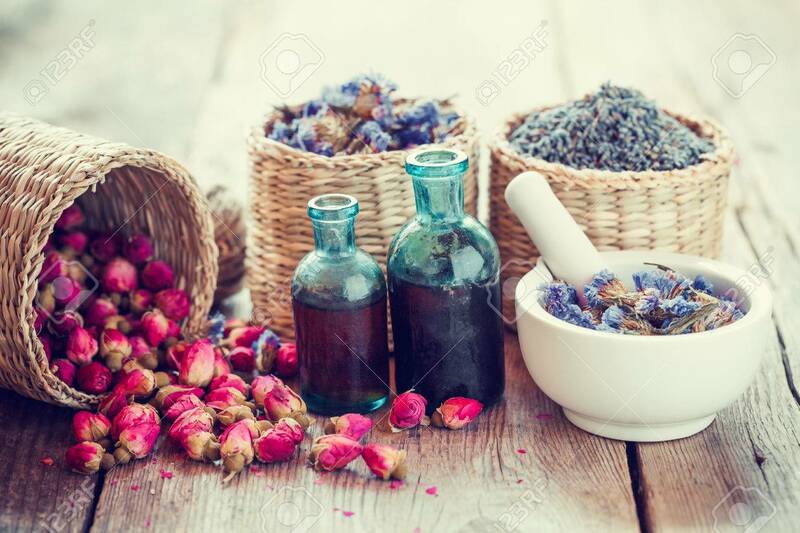 Bottles Of Tincture, Basket With Rose Buds, Lavender And Dried.. Stock Photo, Picture And Royalty Free Image. Image 46203668. Stock Photo - Bottles of tincture, basket with rose buds, lavender and dried forget me not flowers in mortar. Herbal medicine. Selective focus. Bottles of tincture, basket with rose buds, lavender and dried forget me not flowers in mortar. Herbal medicine. Selective focus.